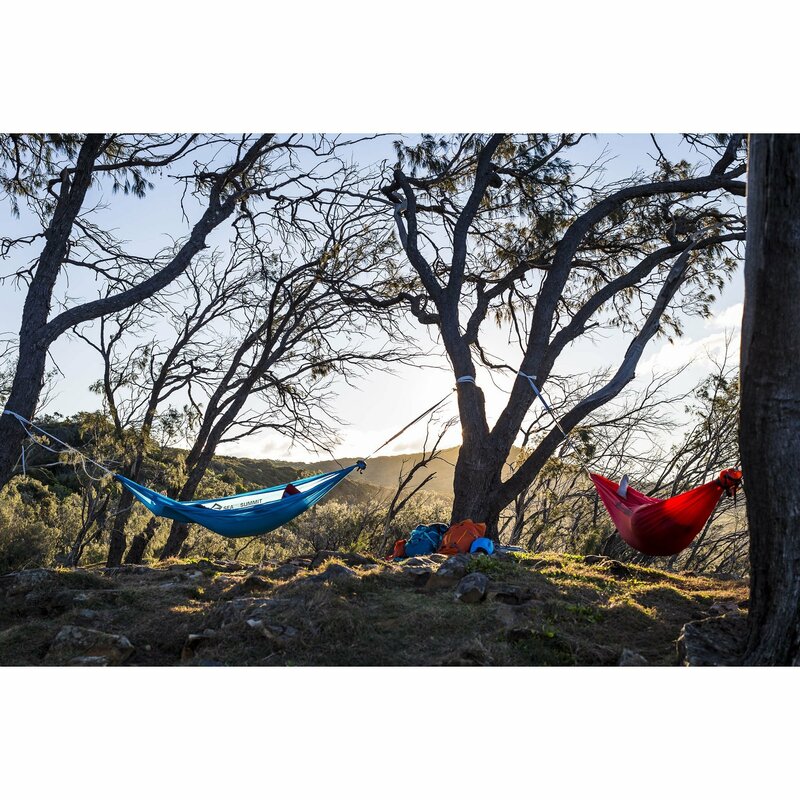 The Pro Hammock is a technical, super breathable, compact and easy to set up outdoor hammock. 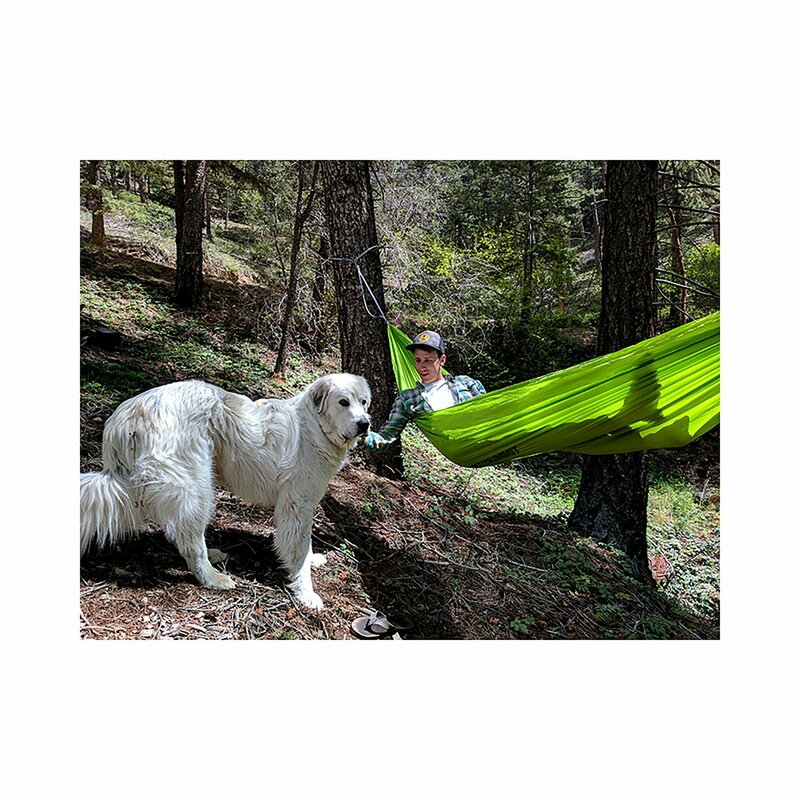 Constructed from soft, ripstop 70D Nylon with high strength plated steel buckles and a CORDURA® Nylon compression bag it can be used anywhere from the backpacking trail to the local park or your backyard. The buckles are triple bar-tacked to webbing loops to ensure long-term durability. 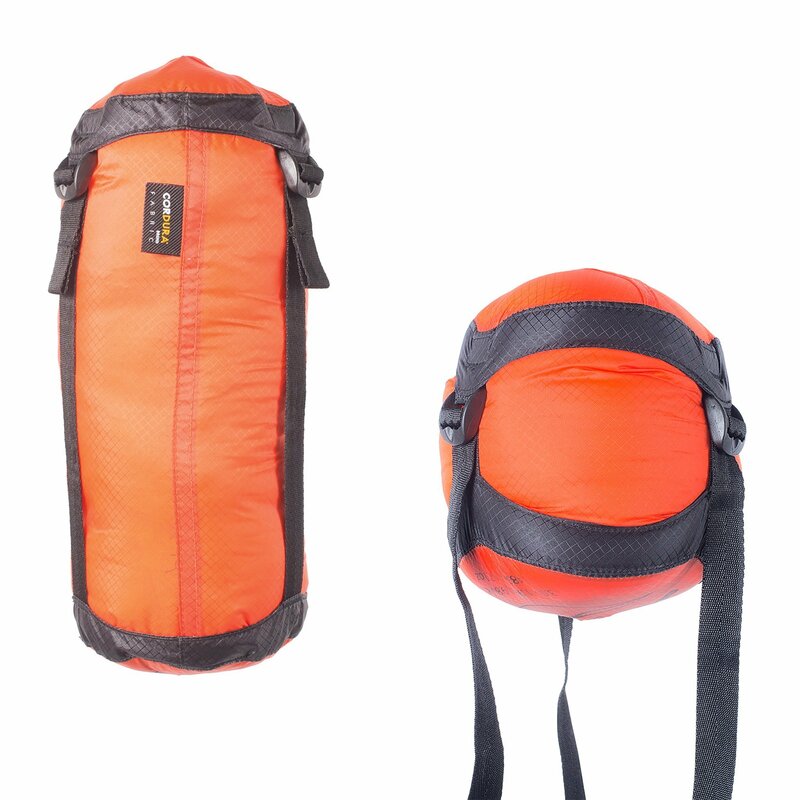 The built-in compression sack is designed with extra space so Suspension Straps can be stored inside. 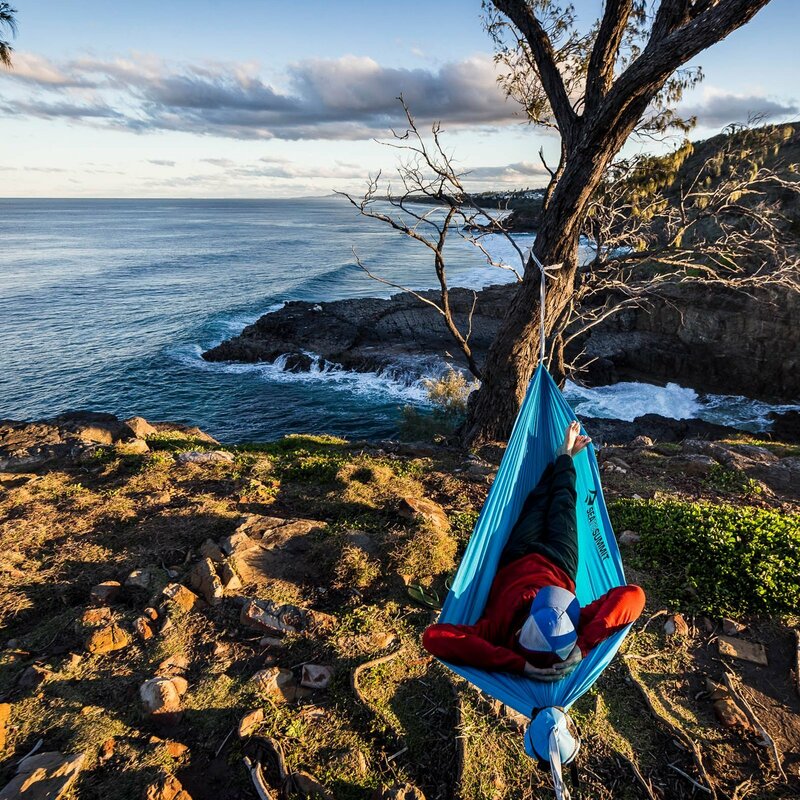 As with all Sea to Summit hammocks, pitching the Pro Hammock is quick and easy. 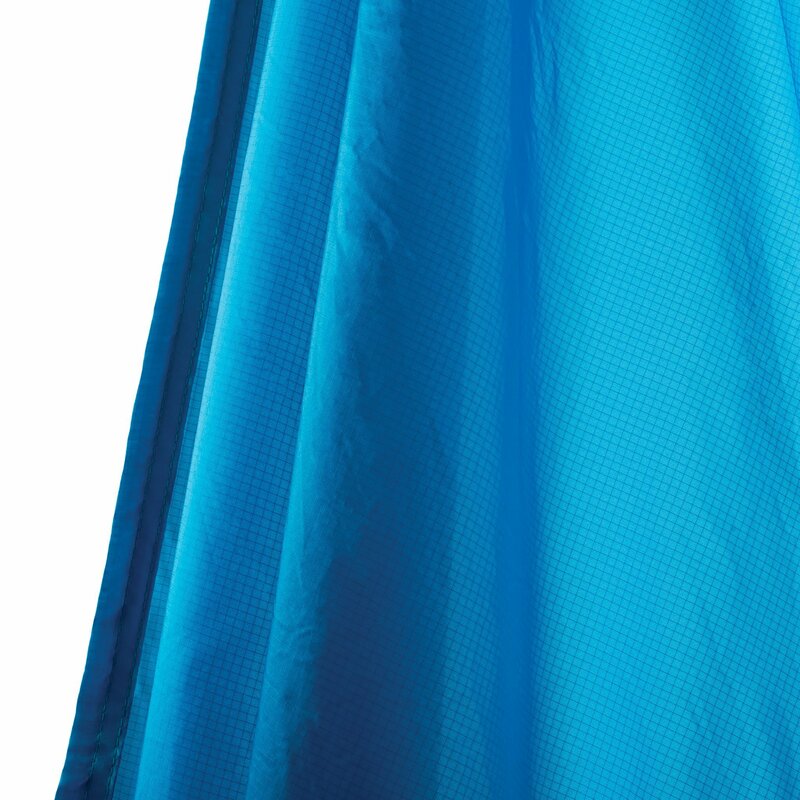 Deploying the optional Bug net or Tarp takes just a couple of minutes. 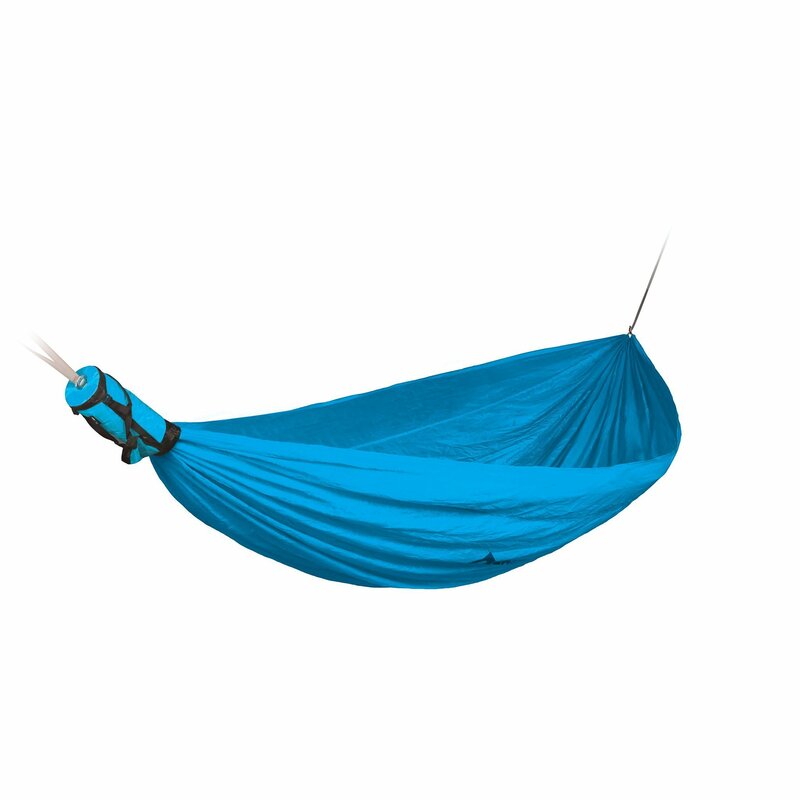 The Pro Hammock Available in three great colors and either single or double size. 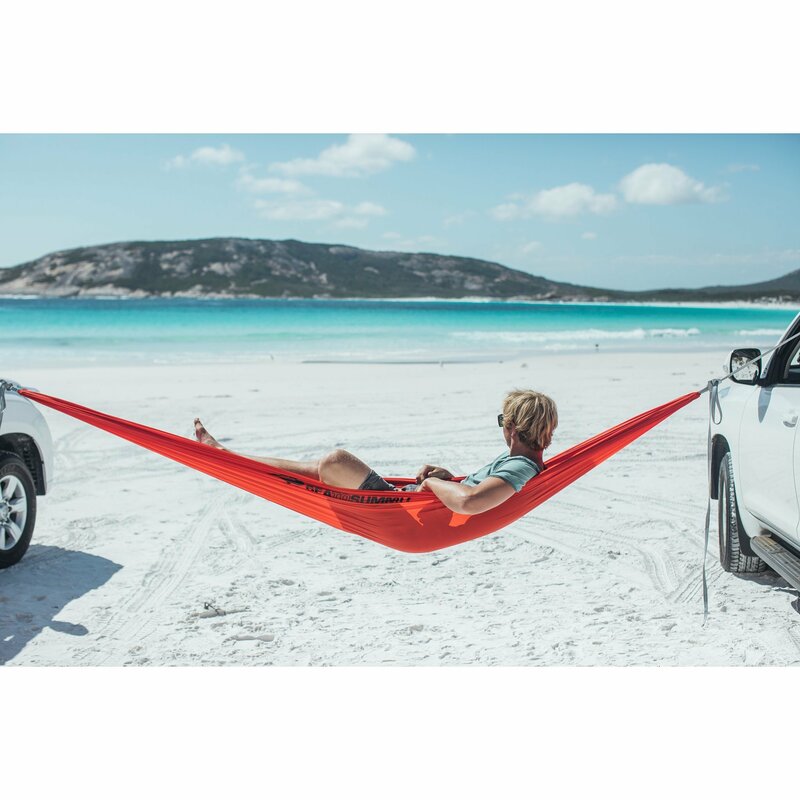 Invest in Sea to Summit's Hammock Suspension Straps and Tree Protectors for a complete setup.